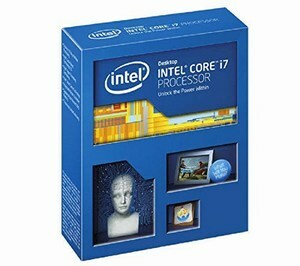 Processor family: Intel Core i7-5xxx, Processor frequency: 3.5 GHz, Processor socket: LGA 2011-v3. Maximum RAM supported: 64 GB, Supported memory types: DDR4-SDRAM, Supported memory clock speeds: 1333, 1600, 2133 MHz. Thermal power: 140W. PCI Express slots version: 3.0, Package size: 52.5 x 45 mm, Supported instruction sets: SSE4.2, AVX 2.0, AES.